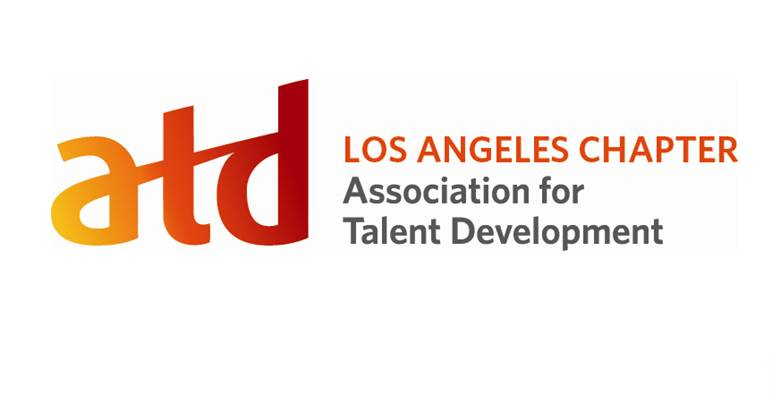 ATD-Los Angeles - OD SIG: Creating Diversity and Inclusion at the Top - What Works? Co-Sponsored by CSPP and ATD-L.A.
OD SIG: Creating Diversity and Inclusion at the Top - What Works? Co-Sponsored by CSPP and ATD-L.A. Creating Diversity and Inclusion at the Top - What Works? Tonight, we’re going to talk about solutions. We’ll bring you both success stories and successes-in-progress from people who have devoted their lives to diversity and inclusion and are using a variety of methods to drive diversity and inclusion. Has your organization been successful at creating diversity and inclusion in your senior leadership ranks, or has it been a challenge? When executives support diversity and inclusion, what becomes possible? How does inclusive leadership need to be different now that our eyes have been opened in the #MeToo era? Come join us for a discussion where panelists will share their experiences in building D&I at every level and learn more about what works. Denise L. Bañuelos, MBA is a Manager for City of Hope’s Diversity & Inclusion Department. She supports the expansion of diversity and inclusion programs that drive growth and participation throughout the organization. She is also responsible for managing nine Diversity Resource Groups and the company’s Affirmative Action Plans. She collaborates with Talent Acquisition on sourcing, hiring and retaining diverse candidates by accessing professional organizations and community contacts for jobs identified as underutilized for women and minorities and routinely educates the HR staff and hiring managers on Affirmative Action laws and best practices to improve better outcomes. Denise has focused her career on being an Equal Rights Professional with over 25 years’ experience developing Equal Opportunity and Diversity programs. She took on the challenge with tenacity and dedication of navigating through uncharted territory to prepare her former company and current company to support employees who announced being transgender by educating management and their respective work groups on how to be inclusive. In 2016, Denise led a team of experts at City of Hope to achieve for the first time designated “Leader” in LGBTQ Healthcare Equality. Denise received recognition from the National Diversity Council for the "2016 California DiversityFIRST™ Award for her leadership excellence in diversity practices. Denise received her undergraduate degree in Business Marketing from Radford University, Radford, Virginia. Denise received her Masters of Business Administration and Human Resources with honors from Keller Graduate School of Management in Pomona, California. Denise is also PHR and SHRM-CP certified. She currently serves on the National Diversity Council Board as well as the Los Angeles Diversity Council. Denise can be reached on LinkedIn. Ronald Reeves is currently Head of Diversity & Inclusion for the United States, Canada, Latin America & Caribbean for AIG. He has been in his current role for two years and has worked for AIG for 18 years. He is responsible for partnering with AIG’s leaders, managers and employees to design, develop and implement a sustainable and measurable D& I strategy that focuses on talent, workplace and the marketplace. AIG has been named to the 2018 DiversityInc’s Top 50 List. AIG has also been recognized as one of the Best Places To Work for LGBT Equality by the Human rights Campaign for seven consecutive years. Ronald is a seasoned financial services industry training & leadership development professional. With over 20 years of insurance industry experience, he has extensive global leadership and management development experience. He has traveled to over 15 different countries in the Americas, EMEA and Asia Pacific facilitating leadership, management and professional development programs. He is a skilled presenter, facilitator, sales trainer, instructional designer, project manager, executive/sales/life coach & learning officer. Ronald has deep expertise in sales training/coaching, business/technical training as well as management, leadership and professional development. He holds numerous learning & development certifications such as Achieve Global, DDI, Wilson Learning, Results Coaching Systems, MBTI and Facet 5 to name a few. Ronald also has experience writing state training grant proposals as well as administering million dollar grants. He is a former award winning Sales Agent & Sales Manager for Allstate Insurance Company. Ronald is passionate about diversity & inclusion, leadership/executive development as well as improving sales revenue/production. He received his B.A. in Journalism from San Jose State University. Ronald resides in Los Angeles. Jennie Wong, PhD is a leader in the Organizational Effectiveness practice at Slalom, a purpose-driven consulting firm. She specializes in aligning culture, people, and behaviors to strategy and is committed evidence-based methods in her approach to diversity and inclusion. In addition to her doctorate from the Annenberg School for Communication at USC, she is certified in coaching, Agile, and MBTI. Denise Lopez, PhD is Professor and Program Director of the Organizational Psychology program at Alliant International University, Los Angeles. Her areas of specialization are in leadership development, organizational change management, employee engagement, and cross-cultural competence. She is an organizational consultant and coach over 20 years of experience in the for-profit and nonprofit sectors. She has conducted management coaching and training, strategic planning, and team interventions for domestic and multinational organizations, as well as universities and state agencies. Denise earned her PhD in Organizational Psychology at Columbia University and is an Associate Certified Coach from the International Coaching Federation. She serves as a Board member of the Education Committee at the California Diversity Council. EXIT Fremont going North toward the mountains. CROSS intersection @ Valley Blvd. 1000 Fremont – The Alhambra. Tell guard at booth you're visiting Alliant. Walk under green awning at north end of visitor parking. B1 building is on your left after the slight incline. Turn left up a few steps at the south end of the building. Enter the double doorway in front of you. Signs will be posted directing you. Once inside, walk straight pass the reception desk down a hallway turn right at the end of the hallway to the first door on your right will be Room 101/103.